Repossessed Houses in Northern Ireland have increased as a result of the ongoing credit crunch. It doesn’t seem that long ago when easy lines of credit such as 95% loan to value mortgages deals were being signed off. Since that time housing prices have in general down from their peaks and the economy has taken a huge hit. The Bank of England base rate is still at its all time low to stimulate things but as always may well rise if inflation keeps creeping up. It is difficult to find general agreement on exactly what will happen in the long term, though probably safe to say the housing market will be facing difficulties for some time to come. Many lenders see it as a last resort. In order to try and recover the money from the customer they will go through many stages to give the house owner a chance to prevent their home from being repossessed. The repossessed houses process involves going to court so they would rather sit down and try and work out something with the house owner without having to go through the courts. However they will want to get their money back so often resort to harsher measures to recover the debt. Repossessions are difficult and upsetting. If you are faced with this situation here are some websites that may be able to help point you in the right direction. . It may be that you will need specialist advice depending on your circumstances regarding the best way forward for you. If you see their website www.moneyadviceservice.org.uk there are some helpful leaflets. For those who are looking to buy any repossessed houses, with all the property flooding the market repossessions may sell well below their market value. Most repossessed properties will be in as good a condition, it is just that for whatever reason the seller needs to get a closing sale on the property quickly. 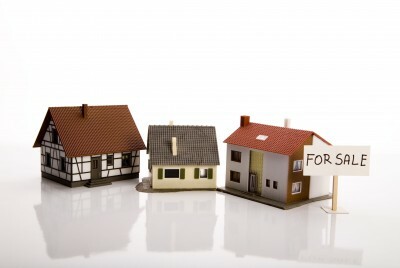 In the current climate many of the properties are from financial institutions looking to close the sale on a property. If you are interested to purchase a repossessed property check out the local newspaper in your area. Another place they are commonly found is your local auctioneer. If it is a property that is up for sale at auction then one of the key advantages is that the seller gets a quick closing sale and the buyer is not involved in a long drawn out bidding process. It all happens at the time of the auction which makes it a very transparent process. Sometimes the deposit on completion at auction can be as low as 5% and the time taken to complete in some cases can be up to 8 weeks offering further attraction for property buyers. What location – Location is always important. Consider is it a new build area or is it in a more established location? If it is for investment:Yield or capital increase – Can you achieve a high yield from the property? Or is it a lower yield and higher capital growth property? Due diligence - When investing in property what due diligence is required and complete it thoroughly before considering any purchases. If you are interested in repossessed properties please fill your details query in our contact form.